Our campaign to send practical assistance to displaced people overseas with love, compassion and humanity. ​This year we are working with our friends at Hand in Hand for Aid and Development to send winter supplies to men, women and children in Syria. There will be four main collection events, details of which can be found below. 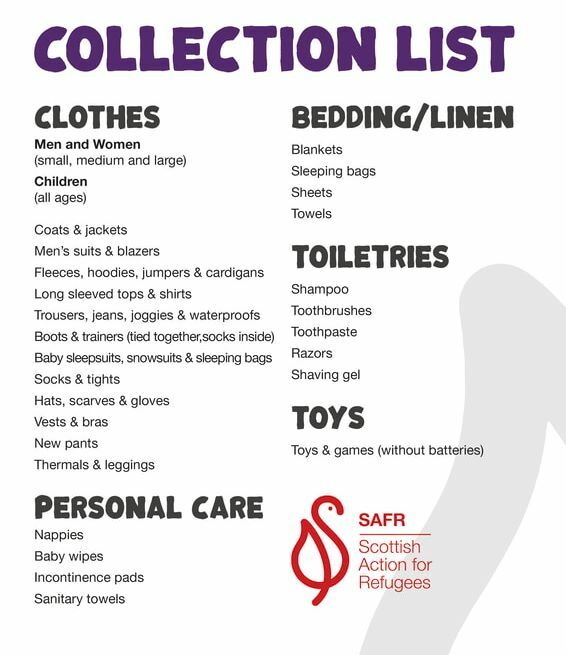 We work closely with our partners and have carefully compiled a list of what is needed on the ground, so please do check and only bring what we have listed. We accept second-hand items (unless otherwise specified) as long as they are clean and in good condition. Think about what you would wear or put your children in on a wet, wintery day!